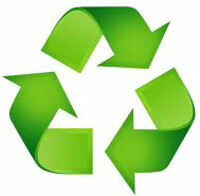 Eco Friendly Asphalt Repairs - Asphalt Restoration, Inc.
Can Asphalt Repairs be Green? They can be when they’re completed with the Infrared Process. There are many environmental benefits to using Infrared over conventional sawcut & remove methods. You’re already recycling paper, plastic and aluminum, why stop there?